"I managed to find some cheap and hilarious looking rain pants and jacket at the Home Hardware"
The rain decided to stick around today. We woke up to it coming down very lightly and the radar forecast looked like it may give us a bit of a break if we waited around until mid morning. That was definitely not the case. It only got worse. I managed to find some cheap and hilarious looking rain pants and jacket at the Home Hardware in White River before we set off for the day. I'm glad I found them because we had a full day of rain for the 100km until Wawa. Despite the rain, the ride was actually pretty good. We had barely any wind and the rain never came down very hard for very long. It also ended up being one of the better days for drivers. Almost everyone was quite courteous and gave us quite a bit of space or slowed right down to go by us. We also received the most friendly honks and waves from drivers of any day so far. I think all of that made up for the fact that there was a pretty lousy shoulder for most of the ride. We were pretty soaked by the end of the day. Lucy had gotten in touch with a lady in Wawa through a friend of a friend who agreed to give us a place to stay. We had no idea what to expect since we were going to stay with a complete stranger. Once again, the person who is hosting us, Karin, has been the highlight of my day. We have a dry place to stay and were treated to another great meal and the most entertaining stories about her life. Some days on the bike start to feel a bit repetitive and we don't have enough time to explore each town. Staying with somebody like Karin is really what is going to stick in my memory as what I remember when I think about Wawa. 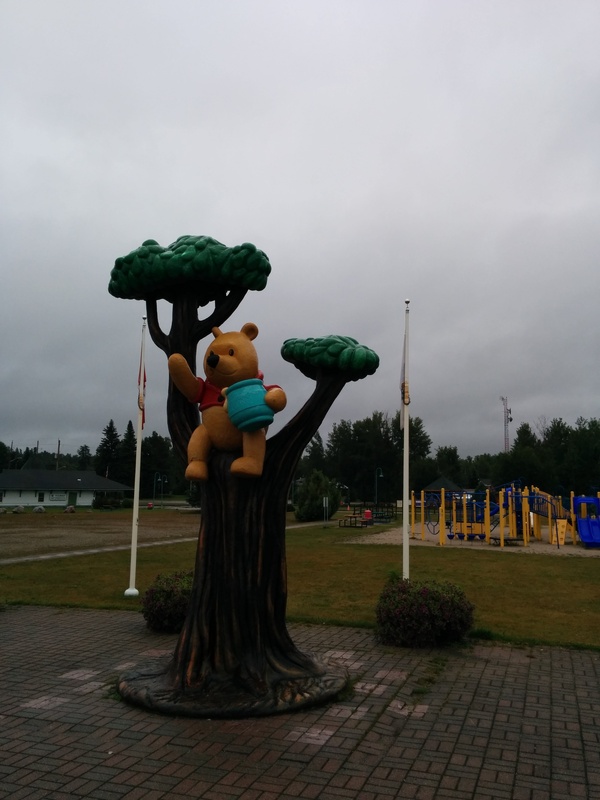 I didn't take many photos today from the ride due to the weather, just one of Winnie the Pooh in his hometown of White River. 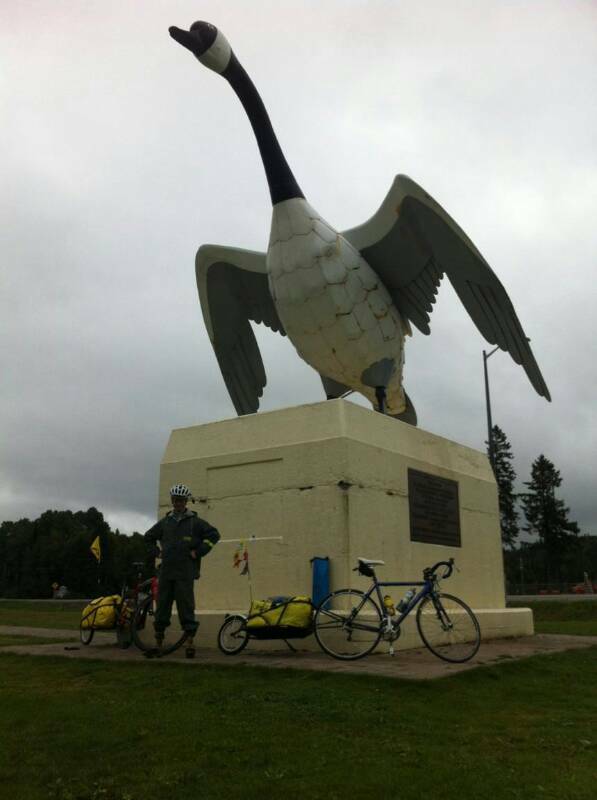 Tomorrow we're heading into Lake Superior Provincial Park for two days so I'm not sure if I'll have any cell reception to do an update until we get to Sault Ste Marie.